Surf’s up in Malibu! Every since 1972, Malibu’s famous surf shack has provided locals and visitors all the proper gear they need to get in the water and get active. Located right off the famous Pacific Coast Highway, Malibu Surf Shack’s home is at Surfrider Beach, which is also known as one of the most famous beaches for surfing. The friendly staff, who are all passionate about surfing and all things in the water, have been able to build relationships with locals and visitors from all over the world. 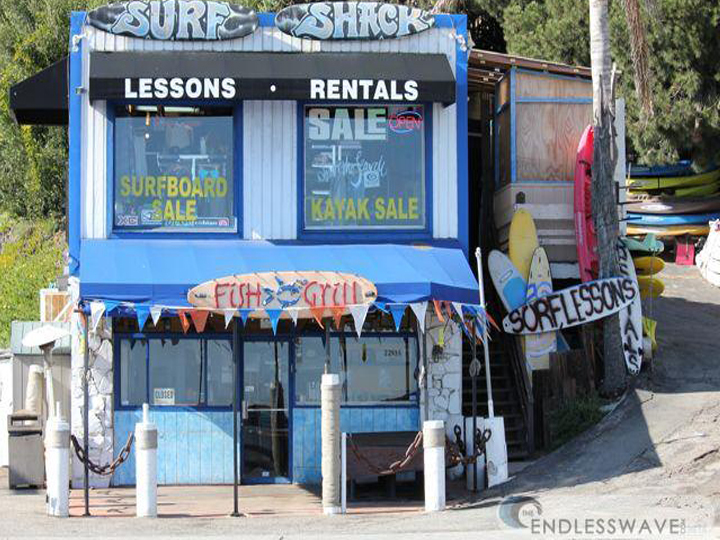 From surfboards to wetsuits, Malibu Surf Shack rents out surfboards, kayaks, standup paddleboards, and wetsuits and body boards – all of which can be rented by the day and the hour for a very reasonable rate. Don’t know how to surf, stand up paddleboard or kayak? Not to worry, you can sign up for lessons in any of these areas with a trained professional. You will learn the basic techniques and simple water safety tips to make sure you are safe out here when you’re on your own. All lessons include wetsuits. Just when you thought there couldn’t possibly be anything more this place could offer, they have an entire retail store to purchase men’s, women’s and kids clothes. Choose from tanks, t-shirts, long sleeve shirts, hats, sunglasses and so much more for all ages and sizes. Most of these clothes and hates are all signature Malibu Surf Shack brand, so you can take them with you everyone you go. If you’re looking for a true Malibu experience, than head right over to Malibu Surf Shack where you can hang out with really cool people while learning a thing or two about surfing. For more information about this location please visit, Malibu Surf Shack or give them a call at (310) 456-8508.